Chrichton's World: Review Jjakpae a.k.a. 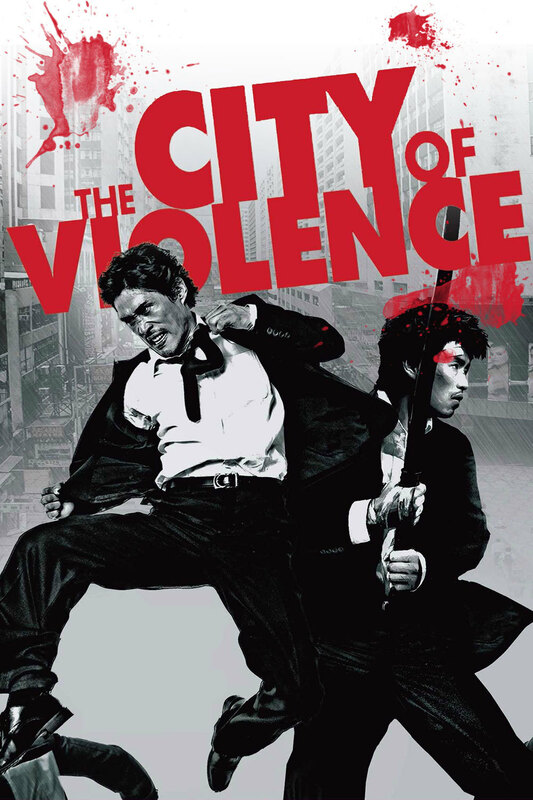 The City of Violence (2006): A fun ride! Review Jjakpae a.k.a. The City of Violence (2006): A fun ride! City of violence is an action movie. And when it comes to action movies the plot isn't that important. At least as long as it never forgets to be in function of the action and not the other way around. But I was surprised to see that, (although not very original) the plot was quite interesting. The actors also did a great job in carrying this plot. They were believable as childhood friends who reunite after the death of one them. 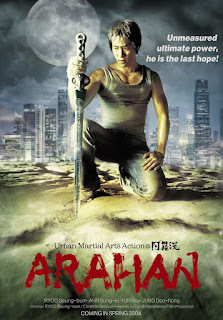 Doo-hong Jung (Arahan) who has the lead as the friend who is a cop also is the martial arts director for this movie. And it shows. He choreographed some excellent fighting scenes. Especially at the ending you will be in for a treat. 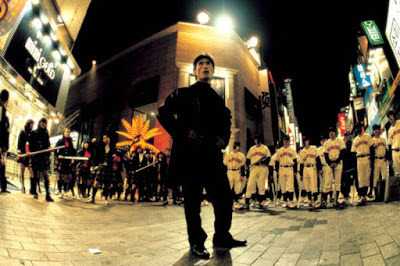 One of the highlights of the movie is one big action scene in he middle of the city where Doo-hong Jung has to fight several gangs of kids on his own. He does gets assistance of a friend, Seok-hwan played Seung-wan Ryoo who is the director of this film. Not to be confused with his brother (actor Seung-beom Ryu from Arahan) who looks very similar to him! When these two get together the fun really begins. I don't know if it was meant as a parody or tribute to The Warriors, but it was sure a spectacular sight to see the Korean hoodlums dressed as the gangs from that movie. They were just as dangerous and menacing. The good mix of comedy, drama and action makes this a movie that has to be seen. It's one big and fun ride!